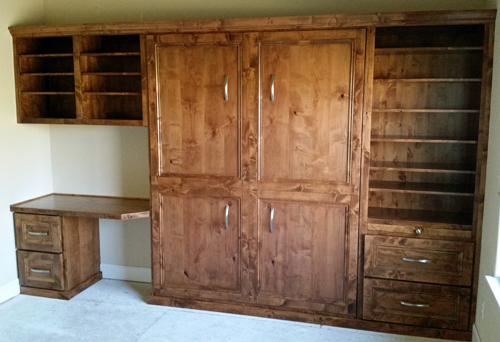 A beautiful Knotty Alder complete wall unit. 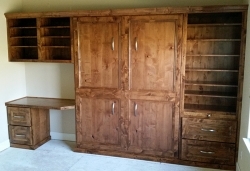 Features include a queen size bed, open bookcase with drawers and pull-out night tray, a pedestal bank of file drawers, a desktop, and a wall mount bookcase. Both the bed and the wall mount bookcase featured 3 way touch lighting.